All of my cabinets are built out of ¾” plywood to insure solid strong cabinetry. Press board is not used in any part of any cabinet. All shelves are ¾” thick to support the weight of dishes, pots or pans. Drawer boxes are built of solid maple and dove tailed joinery. 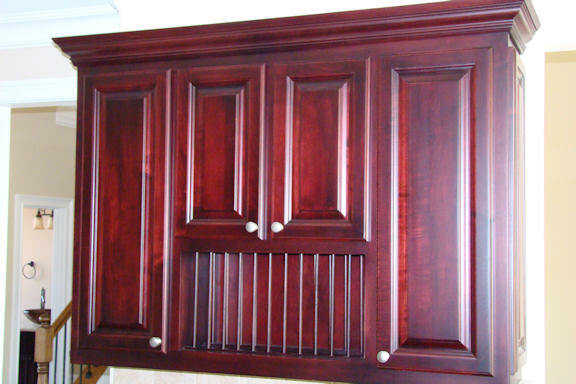 All face frames, doors and drawer fronts are made from solid hardwood. The finish that is applied is unsurpassed by anyone.